Audio samples are one of the most important building blocks of today's music. Due to the fact that they are played by computers, they are lacking the rhythmic imperfection which gives music a soulful touch. But it is precisely this "human touch" which brings the soul into the music and software solutions are trying and failing to simulate this in today's music production. However, turntablists and finger drummers modulate audio samples by hand which gives a comparable feel to playing a traditional musical instrument. This creates an interface between the computer and the human being, which is still completely unknown to many people. This new art form will be a focus of the annually Sample Music Festival in Berlin @ Cassiopeia. Due to the uniqueness of handmade electronic music, SMF attracts sound fanatics from all over the world to come to Berlin every year. In addition to numerous workshops, discussion rounds and shows a musicological seminar is also held. Additionally, at SMF visitors get a chance to also be involved. SMF hosts several jam sessions and competitions. Add in showcases by some of the best turntablists and finger drummers and attendees get an invaluable insight into a subculture that influences today's music production. The SampleMusicFestival was founded in 2015 by Alex Sonnenfeld who had the idea for a summit for handmade sample based music. Alex is known for developing a transcription methodology for turntablism. 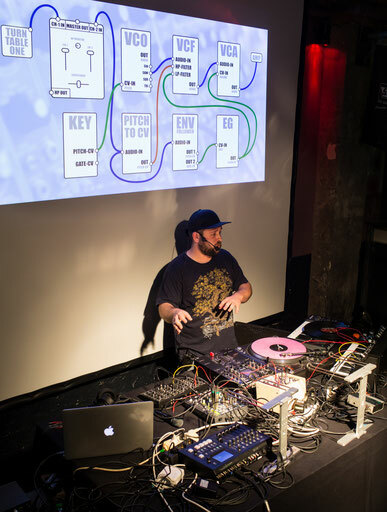 He lives in Berlin and since 2011 has worked as a guest professor at the Q-bert Skratch University. Sonnenfeld advanced his music theory for skratching into the thesis "Theory of Motions" which was employed as a theoretical and methodological framework for creating a notation system for sample-based music in general. S-Notation uses conventional notational symbols to describe the techniques of a performer who plays samples by hand. The end product is the modulation of certain parameters of recorded samples resulting in a new method of making music. 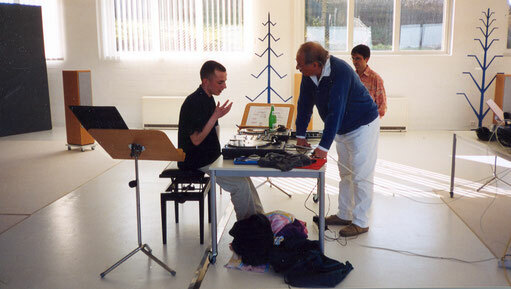 From 2003-2007 this project was supported by the famous German composer Prof. Karlheinz Stockhausen who followed Sonnenfeld's works out of his own interest. After 15 years of research, Sonnenfeld`s work was successfully presented as a referred scientific conference paper @ TENOR 2016, in Cambridge/UK. His goal is to make turntable and mixer based music theory an accepted musical art form.